This Savory Sprouted Wheat Cottage Bread is as light, fluffy, moist and tender as any I’ve ever eaten and it’s totally on plan for THM as an E bread. This recipe, as well as the rest of my blog, is in no way egg-free, dairy-free, or gluten-free. 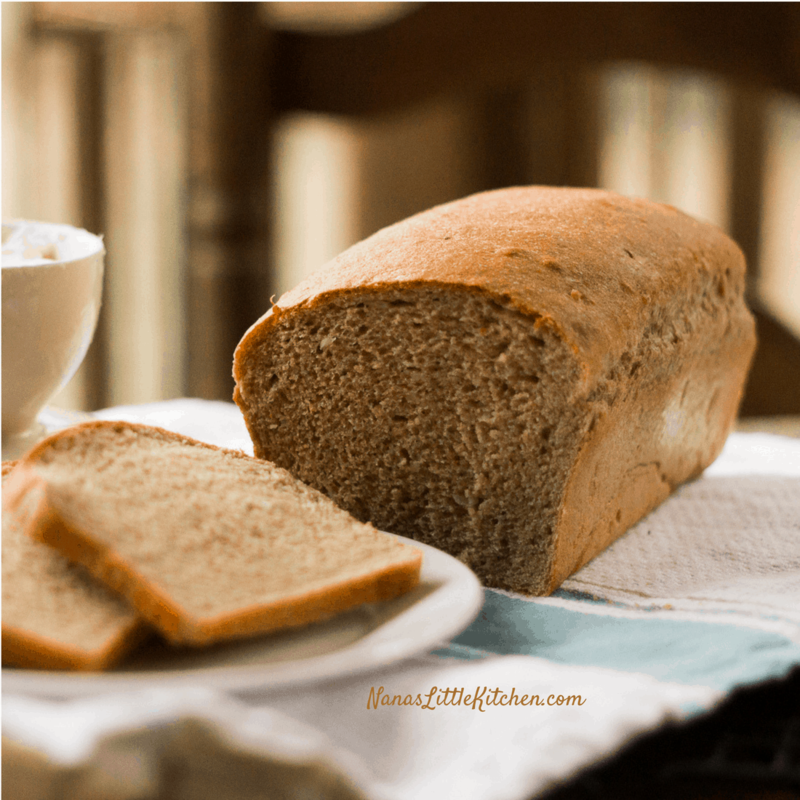 I used all of these ingredients in this bread as dough conditioners and they work very well to create a loaf of bread that is very similar to some of the best bakery bread you could buy. Super low fat, healthy whole grain, fluffy and tender? Typically, those terms are not found together but this is not a typical low-fat bread. The sprouted wheat flour is well… real flour …and it acts like it for the most part. Since it has gluten it reacts to yeast just as it should which is a pleasant change from the flours I usually work around. I adapted this recipe from one that was already fairly low-fat so it was very well suited for my purposes. It originally contained a whole egg, which I changed to 2 egg white equivalents and the low fat cottage cheese is already on plan for THM-E. I omitted some seeds in the recipe and reduced the oil to 1 tablespoons so now it’s a solid E! 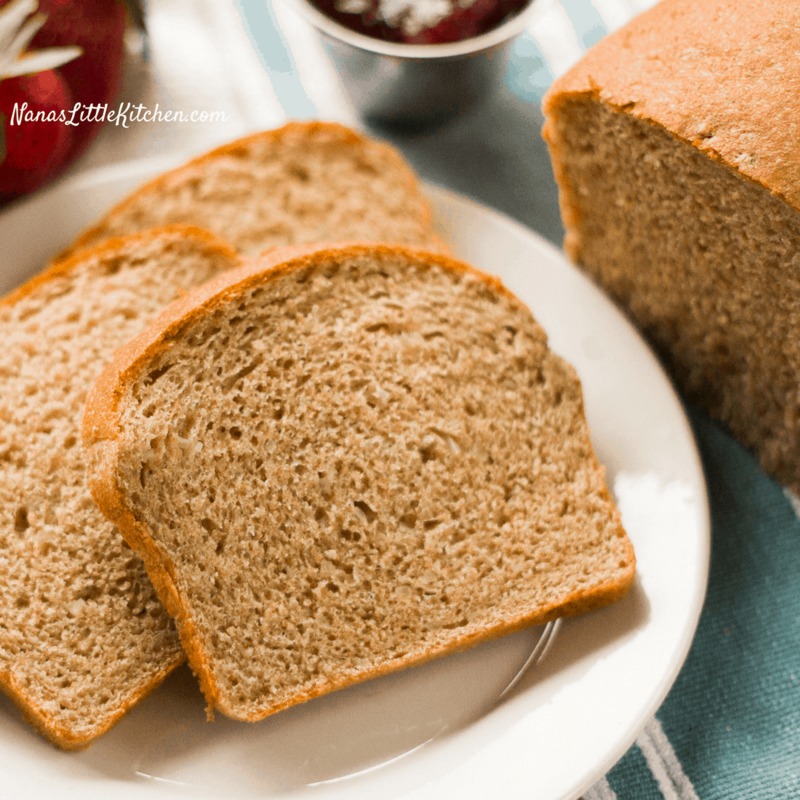 In her great post on sprouted whole wheat bread THM Easy Sprouted Whole Grand and Honey Bread Machine Bread (E), Kristen goes into great detail on making this type of bread and I am grateful for all her hard work in bringing this fantastic flour to our attention. If you haven’t done so yet be sure and check out her bread recipe and visit her FB page over at Joyful Jane. For best weight loss skip the butter on this bread normally but the growing kids will love it for a wholesome crossover. This recipe could not be simpler! Just place all ingredients into the bread machine pan in order; then turn on the basic dough setting to mix, knead, and allow the dough to rise thoroughly until the machine says it’s finished. The following pictures indicate how I got the type and quality of bread pictured but if you wish to go ahead and bake this bread in the bread machine that will work too! 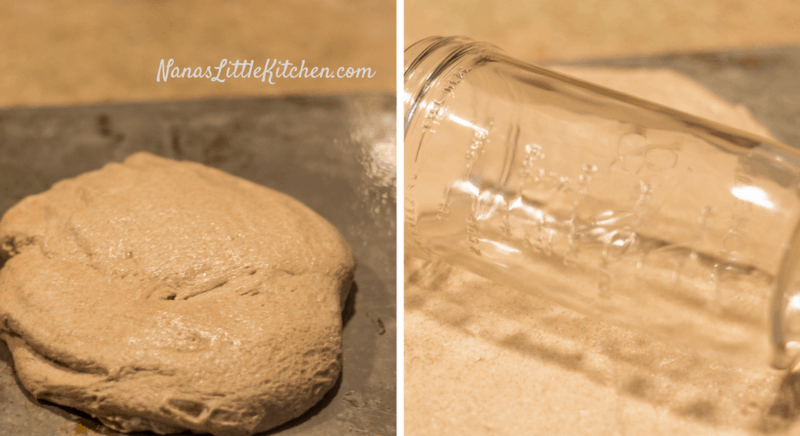 Using a rolling pin or even a tall cylindrical glass roll the dough into a shape that is roughly the width of an 8″ loaf pan. 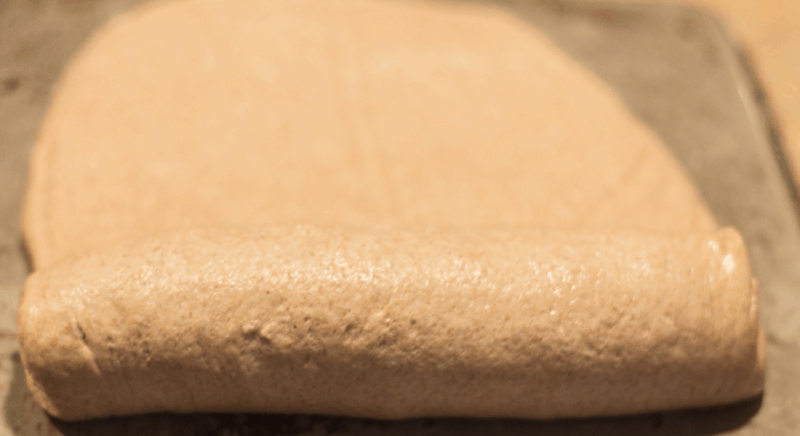 Roll the dough into a rectangle that is roughly the width of an 8″ loaf pan and maybe 15″ long. 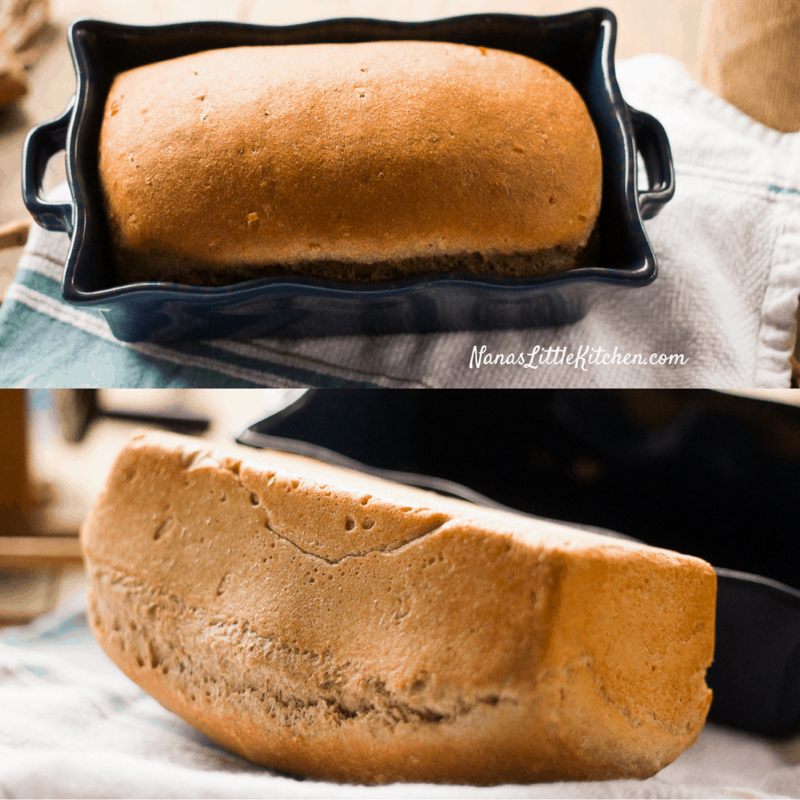 This may seem like more trouble than just separating it and dumping it in the pan but the rolling of the dough smooths out all the air pockets and you just get the nicest smoothest bread with this method. Also note that this is a fast easy process and hardly takes any time, the bread is not sticky or hard to work with at all! Start at the short end of the dough and roll it up semi-tightly into a nice firm roll of loaf shaped dough. If it is a little longer than the pan when you get it rolled up just put your hands on either side of the roll and squash it together to make it a size that fits easily into the loaf pan. I’m recommending two risings for this bread. For the first rise I let it go through the whole basic dough cycle and rise to double. Then roll it out and put it in the pan and let it double again before baking. Preheat oven to 350 degrees and oil an 8x5 inch glass loaf pan. Put all ingredients into a bread machine and turn on the basic mix setting to mix, knead, and allow the dough to rise thoroughly. Oil an 8x5 glass loaf pan. Once the bread has risen and the basic cycle is finished, remove the dough from the machine and turn it out onto the back of a metal baking pan that has been sprayed lightly with cooking oil. 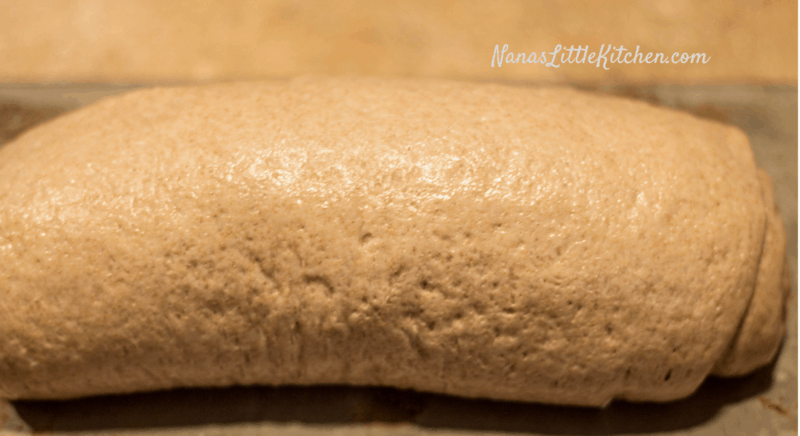 Using a rolling pin or even a tall cylindrical glass roll the dough into a rectangle that is roughly the width of an 8" loaf pan and maybe 15" long. (This is a fast and easy process). Allow the bread to rise a second time until double. Don't forget to preheat the oven to 350 degrees during the second rising process. This bread baked perfectly in 30 minutes in a preheated electric oven but oven temperatures will vary. Although the oven temperatures and baking times may vary you can test the bread for doneness by thumping it and it should sound hollow and also by observing the bottom of the bread. It may be brown on top and not be done it must be brown on the bottom as well. Two slices equal 1 serving. *I tried fresh minced onion and dried and both worked but preferred the fresh. * Vital Wheat Gluten is optional for a better texture and longer shelf life but can be omitted. if it is spelt does it have to be sprouted? Yes, spelt and regular whole wheat both must be sprouted. Anybody made this without vital wheat gluten? Does it still turns out good? This looks amazing! 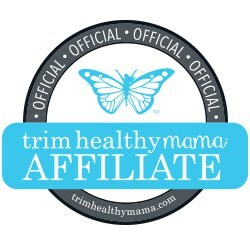 Do you have the nutrition information? I am diabetic so I have to count carbs and keep them low. Hi Durinda! If you have a Kitchenaid mixer or any sort of high powered machine with dough hooks to knead it I think you will be much more pleased with your results. I shopped thrift stores and eventually found one that has worked great for $7.99 and it has been a huge convenience when baking these heavier whole grain flours. What if I left it in the bread machine and let it bake there? Would that be OK? I haven’t tried baking this particular recipe in the bread machine but I have made many others that way so I’m sure it will be fine. I am NOT good at shaping dough into any kind of form that resembles bread or rolls (I tried that with Gwen’s Easy E Bread and it was horrible what I did with trying to shape that into a loaf lol), so my best bet would probably to leave it in the bread machine and let it bake it. What setting would you suggest to bake it at in the bread machine? You can put it into your greased pan and just pat it down into shape, then let it rise. It works great. This is the best bread I’ve made since eating the THM way. I used to make a similar recipe (not on plan) and next time I’ll add dry dill and parsley as well. THANK YOU! I may have missed reading it, but could you tell me how many slices you get in the loaf and how many slices is a serving. Thanks!? I Linda two normal sized slices equal one serving. As far as the amount of slices in each loaf I will need to make it again to verify that number. I added the serving size to the post. Thanks for stopping by! I’m really looking forward to making this bread. It is similar to one I loved that my mom used to make. Do you let it rise only once? I’ve done it both ways, Rebecca. The one in the picture had only risen once but it will be a little higher and lighter if you let it rise twice. For the first rising I let it go through the whole basic dough cycle and rise to double. Then I rolled it out and put it in the pan and let it double again before I baked it. To let it rise once just remove it from the bread machine as soon as it stops mixing, roll it out and place in the pan to rise. Thanks for asking and I will add this comment to the notes. Teresia, did you grease the bread pan? Thanks, I am making this now…just love your recipes!!! I just bought the sprouted flour and vital wheat gluten and I’m excited to try this. I’m sorry but I don’t understand the part about putting the dough over the inverted bread pan. Did I read that correctly? After putting it over the pan do I then take it off and roll it out? Also, if I use my KitchenAid to knead, about how long do I knead it by machine? Thank you so much for the help. The purpose of the inverted baking pan was to have a clean metal surface to spray with oil and roll out the dough. It’s not necessary as you could do it on another clean surface that you don’t mind spraying with oil. It is super easy to work on the oiled METAL surface so I always do it that way. I generally use parchment to keep things tidy when dealing with low carb doughs, but for this type dough I found this method works best. I invert the pan as they usually have a lip that might get in the way of the rolling. Hope this helps and good luck on your bread. diane- you read it like i did, to put the dough on an inverted bread pan. when i reread it for clarification, i think her term ‘metal baking pan’ is actually like a cookie sheet or pan you would use to bake cookies; it would be big and flat to roll out the dough…. Sorry ladies, I’ll plan on getting back over to that post to reword it. Hope you liked the bread! I don’t like homemade bread. It’s a texture thing. I have tried the Swiss bread, and the nuke Queen bread from THM comma but neither turned me on. this bread, however, is perfect. The texture is perfect, and the crust is perfect. It tastes like store bought bread. I am shocked at how easy and delicious it was. Thank you, thank you, thank you! Hi, Cheryl and thanks so much for letting me know you loved it! Remember that unlike the other bread types you referenced, you will not be able to eat this one in any other mode than E or Crossover but it is a great treat. I have more coming variations coming soon so be sure and stay tuned! Two questions: I apologize if I’m just not seeing it, but is there a place to click to be able to print this recipe? Also, I have seen other bread recipes recommend SAF yeast. What advantage does it have over other commercial brands of yeast? Thanks for your help! I’ve got this on the second rise right now, can’t wait to bake it and try it! I was lazy and just sprayed my clean counter with cooking spray to form the dough. Well, part of that is because I don’t own any metal baking sheets. I got rid of them years ago when I discovered stoneware. Probably could have used that but this was just as easy and a simple wipe of the counter made it all clean. Thanks for an easy sprouted bread recipe! The last one I tried wasn’t easy and didn’t turn out well. Expecting excellent results with this! I know it’s 2 slices per serving, but how many slices per loaf? I’m a bread lover and it would be easy for me to eat large slices. I wish she will answer this because I had the same question. Christine and Rebecca I’m sorry, but I’m just seeing this new comment. It’s 16 slices and 2 are a serving. I saw that you had bought your bread machine second hand, but what brand did you buy? I don’t have one and am curious as to which brand that you used that worked so well. Thanks! It’s nothing special Bettina, as far as I know. I think the main trick is to get one that hasn’t been used much. This one is a Toastmaster but like I said try to find one that looks like it’s just out of the box and was hardly, if ever, used. Hope this helps. Happy New Year! Looks like another great recipe for me to try today! I hate spending so much on sprouted bread at the store. This one looks great! I will post a pic when I am done. I just love the recipes you send us! This was easy and really good and fit into my THM food plan. I made hoagy’s instead of a loaf and they came out great! I brushed the tops with oil and sprinkled with onion flakes before the second rising. I’ve really missed good bread and this does it for me! I’ve made this recipe twice and like the taste. However, both times, the dough rose too much and fell and was doughy. I’m thinking it’s over proofed, and wonder if one rising is better? Do you have a suggestion? I like making it into 8 rolls in my cast iron gem pans! 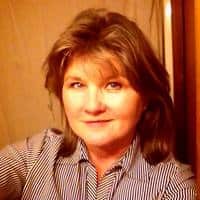 Hi Diann! If one rising is sufficient then by all means go that route. If you’d like to do an extra rising though you might move to a larger pan so there is more room for it to get larger without falling. Also make sure that the spot where it’s rising is not too warm and free of drafts or vibrations that might affect it. For instance I used to let mine rise on a spot of the counter that was near the back door. One hard door slam and down it went once it’d gotten to an advanced stage. When it falls like that I dump it out and redo it and remember that it will rise much faster on another rising. Hope this helps.